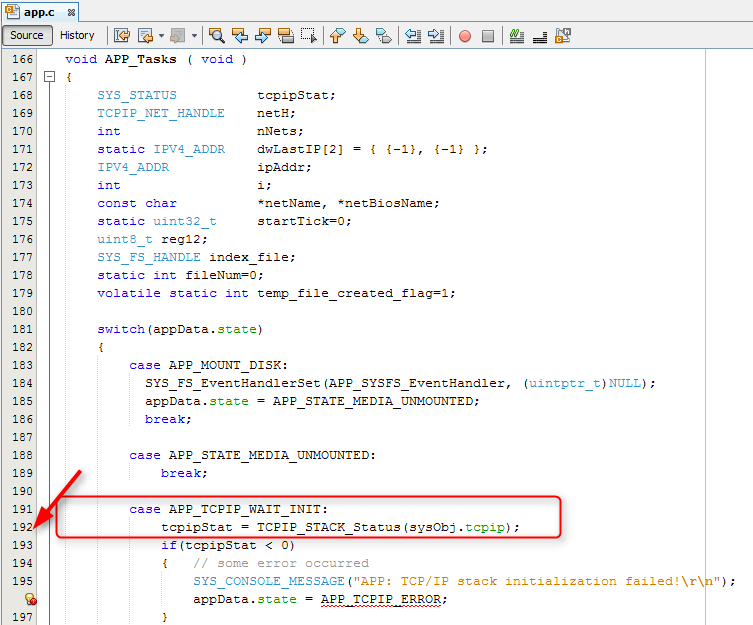 apps\training\middleware\live_photoframe\live_photoframe_lab\dev_files\sdcard_files to your SD Card. 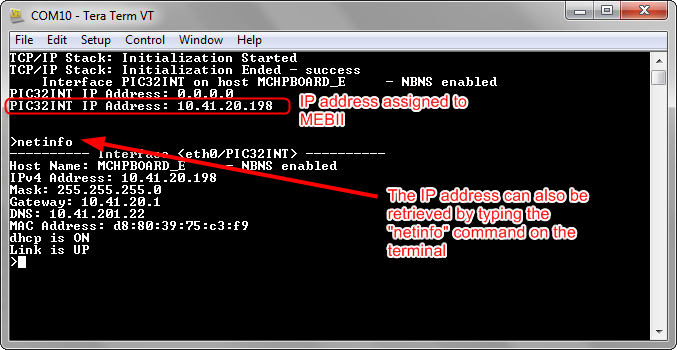 The Host PC and the MEBII board should be in the same network domain. Find a snapshot of the setup below. 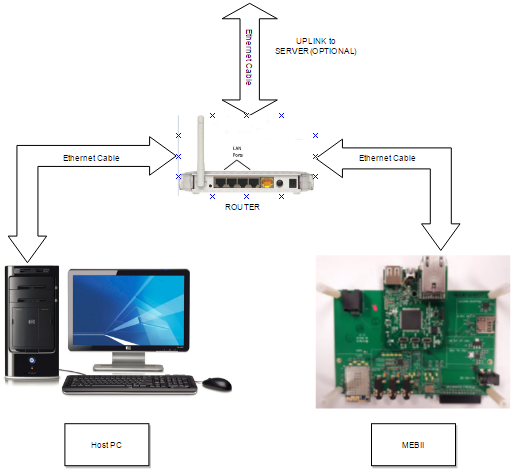 Connect the MEB II board to a Router via an Ethernet cable. Connect your Host PC to the Router via another Ethernet cable. Connect a Type A male-to-micro AB USB cable between the host PC and J4 connector of the Starter kit on the MEBII board. 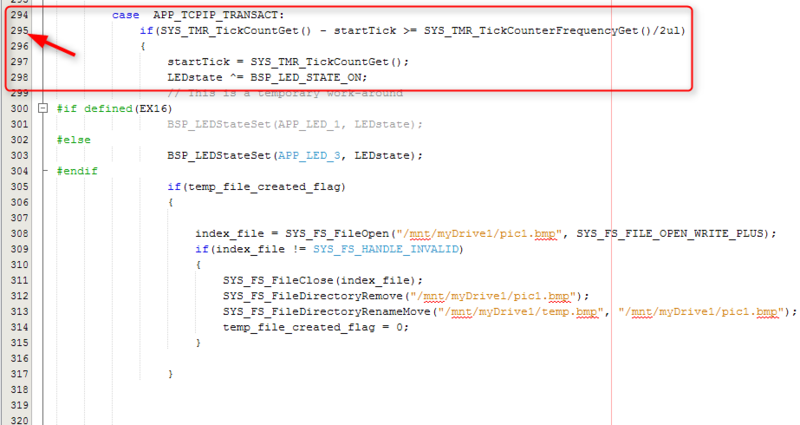 Before you start the debugger, you may want to set a breakpoint in the application file to verify that important stages of the application (like mounting of the file system on SD Card, TCP/IP stack initialization, etc.) were executed successfully. Put a breakpoint in the APP_TCPIP_WAIT_INIT state in app.c, APP_Tasks() function. Hitting the breakpoint will indicate that SD Card is successfully mounted. Debug your application! Click the Debug Main Project icon. The breakpoint will not be immediately hit. Insert the micro SD Card into the micro SD Card slot (J8) on the MEB II board. The breakpoint will be hit. Put a breakpoint in the APP_TCPIP_TRANSACT state in app.c, APP_Tasks() function. Click the <F5> key to allow the application to run. The breakpoint set in the above step will be hit indicating the TCP/IP initialization is successful. Remove all break points and click the <F5> key to allow the application to run. You should see the output of the camera sensor on the graphical LCD. After pressing switch S1 on the MEBII board there should be a brief pause on the LCD screen, indicating that the image is being captured. 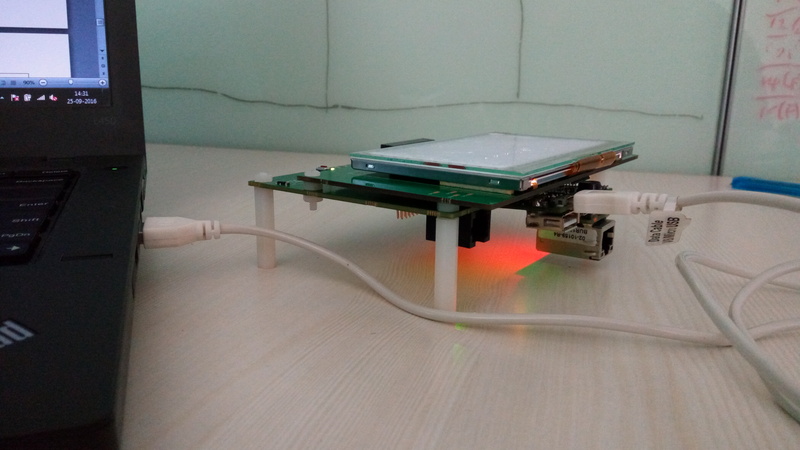 Since The camera PIN is shared with the Real ICE debug pins, there could be intermittent functionality issues with respect to the quality of the image displayed on the graphical LCD, when the application demo is run in the debug mode. The application demo works well when running in release mode. 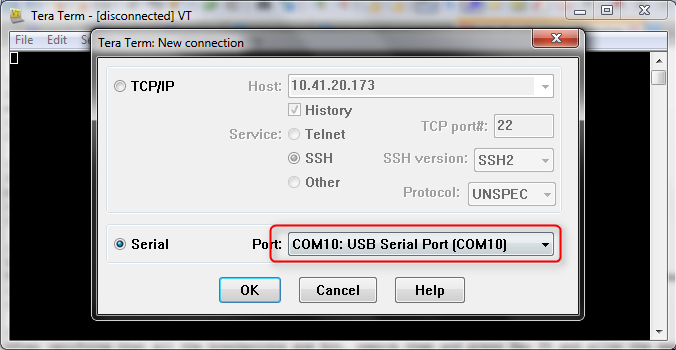 Open a terminal emulator program and open the serial port which is emulated by USB as shown in the figure. Once the terminal is open, Click the <ENTER> key. You can see the IP address assigned to the board by the DHCP server running on the router side..
Open a web-browser on the Host PC and type the IP address as obtained in the above step. You can see the images captured by the camera and stored in the SD Card are scrolled on the web-page. Currently, the demo supports a maximum of three images, to be stored in SD Card at any time.